Click here to view and read about this video on ABC Open. Lydian joined the inclusive electronic experimental pop band Tralala Blip in 2010 and the band continue to perform nationally and internationally. The travel show personality Alex Lyngaas was currently visiting Australia and he just happened to be living one street down from Lydian’s house in Bangalow, NSW. So, Rest Your Eyes Productions invited Alex to come along and interview Lydian in his casual approach. 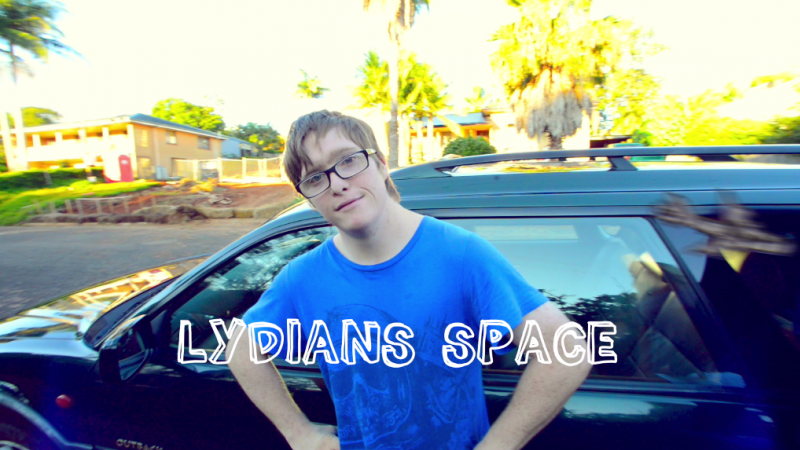 We get to visit Lydian’s home, recording studio and his favourite hangout the Bangalow Pub. Alex Lyngaas get’s close and personal with Lydian asking him questions about his music, life and love. Lydian is not shy to his share his personal stories on camera and by the end of the day Alex and Lydian have established a real bond with laughter, tears and big hugs. Tralalablip band member and visual artist Mathew Daymond has also come on board with the film project to create some of his wonderful quirky illustrations to be used in the short film. Mathew joined Tralalablip in January 2008 and as well as performing vocals, audio cubes, white noise machine and sine wave synth Mathew is passionate about drawing. He has designed t-shirts, posters and record covers for the band over the last few years. Based in Bangalow, Northern NSW Lydian Dunbar is an electronic music artist who also works in theatre and creates cross platform artwork that has been exhibited in regional Australian galleries. Lydian joined the inclusive electronic experimental pop band Tralala Blip in 2010 and the band continue to perform nationally and internationally. He has recorded three albums with Tralalablip for three Australian independent record labels including an internationally renowned Brisbane sound art, experimental label Room40 as well as Brisbane label Disembraining Machine and Melbourne label Sound Crucible. Lydian has assisted Tralalablip founder Randolf Reimann in delivering electronic music making workshops for other artists with disabilities at Queensland University Of Technology, Fitzroy Community Arts Centre, The Powerhouse Museum, Sydney and numerous regional disability services and art galleries. With Tralala Blip, Lydian has performed at numerous festivals such as Liquid Architecture in Brisbane and Melbourne, The NOWnow Festival in Sydney, Crossbows Festival at Queensland Conservatorium of Music and Unsound Festival in Krakow, Poland to name but a few. With the members of TLLB and in collaboration with Urban Theatre Projects Sydney and NORPA Lismore, Lydian performed in the Theatre work My Radio Heart in 2014, which was staged in both Sydney and Lismore and will see a second season in September 2015. 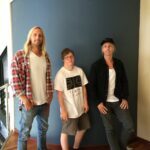 Producer / director Jonatan Lundmark has 13 years experience of camera operating and editing and has directed and produced the documentary Byron Bay The Meeting Place. He is currently working on an indigenous documentary – Ninja Circus, which takes place in Uluru NT. Jonatan has a bachelor in film production from SAE Institute Australia – Creative Media Education. He is currently working as a producer/director at the production company Rest Your Eyes. Director / editor Sebastian Lundmark has been making films for the last 20 years and for the past 6 years has been working full time on various documentaries, commercial and corporate productions. Sebastian is originally from Sweden, but has been living in Byron for the last 7 years. He has a bachelor in film production from SAE Institute Australia – Creative Media Education and is is currently working as a Director / Editor at the production company Rest Your Eyes Production.